There are currently, more than 9.4 million people working in the renewable energy sector across the globe, which includes 2.8 million in solar PV, 1.6 million in liquid biofuels and 1 million in wind. This reflects a 5% increase in 2015 and confirms the strength of this relatively new industry. 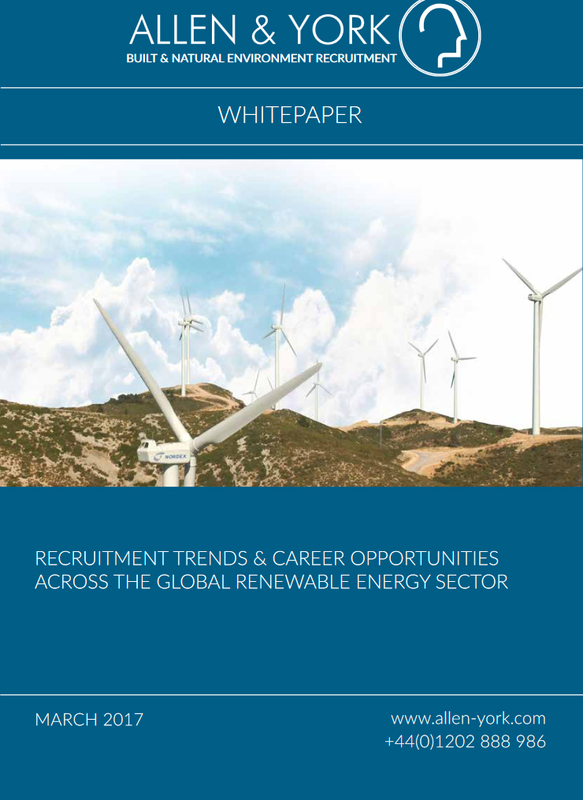 China, Brazil, the United States, India, Japan and Germany currently have the most renewable energy jobs, and Europe still has a strong renewables market, despite the withdrawal of subsidies in the UK for new wind and solar developments. Germany, Spain, the UK, France and Italy lead the field in installed wind capacity across Europe and the solar marketplace has grown by 15% of installed capacity in 2015, prompting SolarEurope to describe Europe as the most “solarized continent”. However, we can’t ignore that after a long period of growth in UK wind and solar over the past 10 years, the last 2 years has seen a major slowdown in large-scale developments, due in the main to the change in government subsidies and a perceived saturation of the marketplace. However, these are well established and strong industries and although new development has slowed, the existing wind and solar farms still require staffing and optimising to their full-capacity. This is reflected in a major shift in job opportunities which we have seen across onshore wind and solar. There has been a move from EPC and development recruitment to asset management and O&M (operations and management). Optimisation of assets is paramount to achieving maximum output from existing developments, and as a result we have seen a steady demand for analysts and asset managers, site managers and technicians to enable the smooth and consistent output of power from these sites. Offshore wind has also undergone a period of reduced recruitment activity throughout last year, however we anticipate an upturn in 2017/18 as the R3 developments across the UK coast come on-line. There are four offshore wind farms currently under construction, and a significant extension to the Burbo Bank farm off the North-West coast underway. Another exciting UK growth market is, Energy from Waste (EfW), Anaerobic Digestion (AD), biomass and gasification. This is a marketplace that has really boomed over the last 2 years. The RHI has had a direct effect on this strong growth, as well as tighter waste to landfill restrictions and we are seeing more small to medium sized bioenergy plants being built and as such the jobs market is growing. The creation of smaller power plants across the country, has also created an increased demand within Transmission and Distribution (T&D), an already candidate short market. There is no shortage of opportunities for those skilled professionals working within grid connection and overhead line engineering. Energy regulation jobs have also increase in the UK market, over the last 2 years. 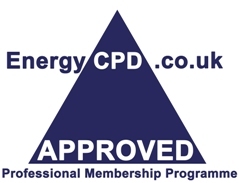 Understanding the regulation and policies within this very dynamic and ever changing sector, as well as managing investments and financial assets has become a vital role within energy companies and consultancies. Increasingly ALLEN & YORK are working with employers to source specialists across energy; economics, policy, regulation and investment, and we see this as very much a growth area. It is worth mentioning that several of the UK consultancies ALLEN & YORK work with are looking to the continent to expand their client base. The UK has very strong expertise within the renewables industry, our health and safety records are exemplary, and as a result job opportunities are becoming more available for professionals interested in working across a wider European base. Globally, China continues to lead the world in renewable employment, with more than with 3.5 million people in the sector. Last year, China contributed to more than a third of the global renewable energy capacity and as the country’s solar boom continues, we hope to see a reduction in the chronic air pollution caused by its long dependency on coal. Exciting developments across US solar and wind has seen a 6 per cent increase in renewable energy employment in 2016, reaching a total of 769,000 people working across the industry. According to figures published by the US Department of Energy (US DOE), the solar workforce increased by 25% in 2016, while wind employment increased by 32%. Driven by plummeting costs and growing consumer appetite, the renewable energy sector in the US looks set to thrive, despite their climate sceptic President. Opportunities across the industry are wide and varied and as technical recruitment specialists at ALLEN & YORK we work mainly across; engineering, commercial & sales, consultancy, project management and operations. Salaries are competitive and offer a good level of remuneration. The results of our Renewable & Clean Energy Salary Survey 2017 show that the average salary of an Engineer is between £30,000 to £35,000, which can rise to in excess of £120,000 for a Head of Engineering position. Similarly, within operations a Site Manager’s salary on average is between £35,000 to £40,000, with Director of Operations topping out at around £100,000. The industry offers clear career paths, working in a sustainable industry with good financial rewards, and we see great opportunity for the future of the industry both in the UK and Europe, as well as across the wider global market.